Danilo Cabaluz was born 1983 in Santiago de Chile. He has obtained his Bachelor degree in the class of Luis Orlandini, in the arts department of Universidad de Chile, master degree and postgraduate in the class of Eliot Fisk in the Universität Mozarteum Salzburg. He was rated both the highest qualification and the maximum recognition. He has taken part of several master classes with Eduardo Isaac, Eduardo Fernández, Marco Socias, Ricardo Gallén and Leo Brouwer. 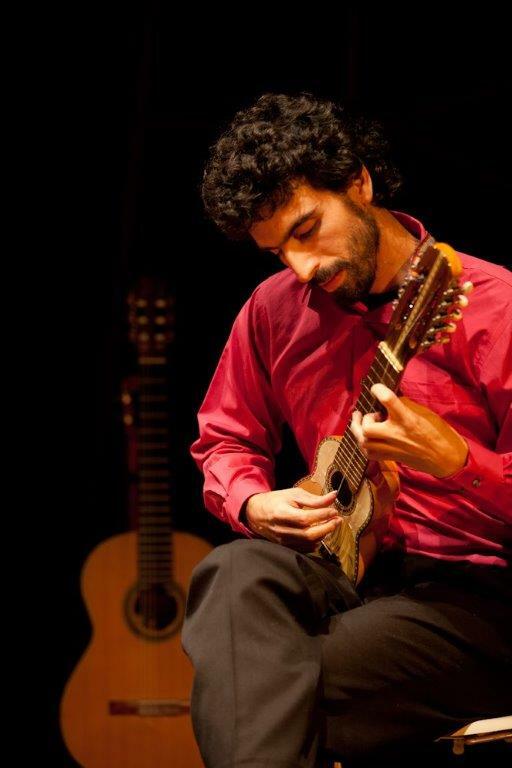 He has participated in the International Guitar Festival of Santiago “Entre Cuerdas”, Boston Guitar Festival (EEUU), Salzburg Guitar Fest (Austria), IX Seminar of Musical Interpretation (Mar de Plata – Argentina), XV Semanas Musicales de Frutillar (Chile), International Festival of Contemporary Music (Chile), 1er. International Guitar Seminar of Santiago (Chile). Official concert seasons of USACH orchestra (Chile), Guitar Festival of Lausanne (Suiza), Salzburg International Chamber Music (Austria), Passauer Guitar Festival (Germany), between others. He was a member of Barroco Andino und Ensamble de guitarras de Chile. Together with different groups and as a soloist he has performed in the most important concert halls of Chile and other countries such as Colombia, Ecuador, Argentina, Brazil, USA, Holland, Germany, Spain, Austria and Switzerland. He has performed several times as a soloist and as a part of the guitar quartet together with the Orchestra of Santiago´s University (USACH). Antofagasta symphony orchestra and Camerata de la Universidad de los Andes by the guidance of Santiago Meza, Aliosha Solovera, Christian Baeza y Eduardo Brown. His recordings include one compact disc with the Ensamble de Guitarras de Chile (2010), live recording for the Austrian radio ORF with the violinist Florian Willeitner (2014) and the first compact disc of the Duo CellAr, titled “La vida breve”, with the german cellist Julia Willeitner (2015). Between his recognitions we can count the scholarship “Amigos del Teatro Municipal”, “Beca Chile” (Government scholarship for master study in foreign countries), first prize in the 7th edition of the national guitar competition Liliana Pérez Corey, third place in the VI International guitar competition Compensar 2008 (Bogotá – Colombia) and in the international guitar competition Llerena 2010, Spain. He currently has an important activity as a concert performer in Chile and Europe.